Please visit the laboratory Facebook page for the latest information. If you register to the laboratory Facebook page you can choose to get notified when new articles are added. We will update the Facebook page with news related to the lab as it becomes available, such as articles in newspapers, major magazines and major websites, information about events, introductions of the lab in the media, uploaded videos etc. The real physical world essentially has parallel and real-time computing architectures, including sensors and robots, as well as social and psychological phenomena. Realizing an equivalent architecture based on engineering technology will help us to understand the real world, bring various advantages to applications, allow us to achieve performance levels far exceeding conventional systems, and eventually make it possible to build genuinely new information systems. Our laboratory, in particular, conducts research on exploring parallel, high-speed, and real-time operations for sensory information processing, some of which are listed below. Also, we are focusing on finding new industrial markets and strongly promoting technology transfer of our research outcomes in diverse ways, including collaborative research and commercialization. I. 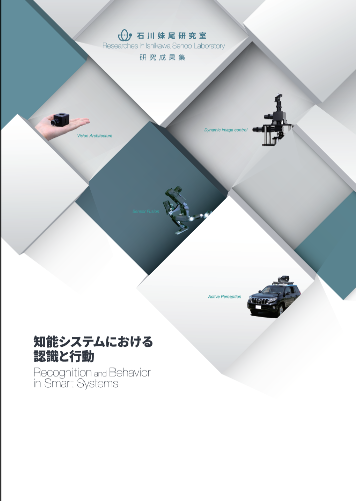 Research on Sensor Fusion theory, construction of system architectures, and applications to high-speed intelligent robots aimed at the engineered re-formation of the five senses. In particular, applications include the development of high-speed intelligent robots based on sensor feedback using visual sensorsand tactile sensors and the development of new tasks. II. Research on Dynamic Vision System for development of fundamental technology and creation of application system by adaptively acquiring information of moving objects based on high-speed image processing and dynamic optics. In particular, technology development of high-speed optical axis control and variable optical systems, and implementation of application system on image measurement/information presentation in dynamic environment. III. Research on System Vision Design for designing high-speed image processing technology (theory, algorithms, and devices) and the realization of application systems. In particular, the development of application-oriented high-speed image processing systems and innovative applications creating new value by driving at speeds that far exceed the capabilities of the human eye. IV. Research on Active Perception for creating a new style of interaction by using sensation-enhancing technology and its applications, in particular, the construction of a modality that is meaningful for humans and the realization of futuristic information environments and human interfaces based on various high-speed technologies. Publication List, Award List et al. * Ishikawa Senoo Laboratory Channel: Edited videos on recent research results are unvailed timely. ** Ishikawa Senoo Laboratory Channel II: Videos on research results which have not uploaded to the main channel are archieved. *** The name of our laboratory was changed from "Ishikawa Watanabe Laboratory" to "Ishikawa Senoo Laboratory" on April 1st, 2018. The names of "Ishikawa Oku Laboratory", "Ishikawa Komuro Laboratory", "Ishikawa Namiki Komuro Laboratory", "Ishikawa Namiki Laboratory", "Ishikawa Hashimoto Laboratory", and "Ishikawa Laboratory" are past names of our laboratory.